Remarkable use of voice samples taken from Aretha Franklin to The Fugees. One track uses a reversed full sentence and yet it vaguely sounds like the words "mmmm, and you you go get it". Wonderfull material that sets many dancefloors on fire. Two masters of tribal techno meet together and release one of the best techno EPs I've ever heard. A lot of drums and vocal samples used in a very proper way that distinguishes those artists and makes it a perfect, dancefloor orientated record. 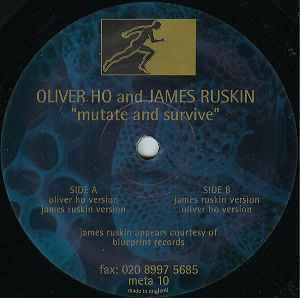 Comparing to a lot of crap which is now being released as tribal techno this EP is really outstanding. definitely one of the best records in my collection.